Boom! 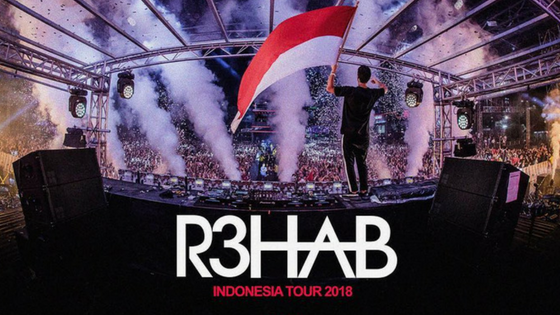 R3HAB Indonesia Tour 2018 is coming!! Fadil El Ghoul born April 2, 1986, better known by his stage name R3HAB, is a Dutch DJ, record producer and remixer of Moroccan origin from Breda. Alongside Afrojack and Chuckie, he is one of the proponents of the modern Dutch house subgenre. During the 2012 WMC in Miami, United States, R3hab won the IDMA Best Breakthrough Artist Award. R3hab will come to Indonesia and will perform with Skytech. They will strom the Indonesia stage in 6 cities (Yogyakarta, Surabaya, Jakarta, Bali, Medan and Bandung). Let's join this event, don't miss it! Bring your friends to join the party.